When we were struggling with infertility, I started to really pay attention to what I was putting on and in my body. I was shocked to find ingredient lists with words I couldn't come close to pronouncing and immediately filled a garbage bag with products that suddenly felt like poison to me. 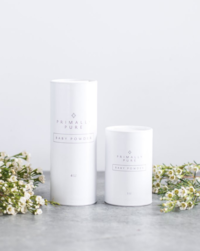 Then came Primally Pure, a little box delivered to my doorstep that changed the game of natural products and converted me into a human who can talk about natural deodorant for hours and who makes sure my products have real, recognizable ingredients! A: For me, I started to really thinking about going Non-Toxic after our second miscarriage when I started to research things that can impact your fertility. At the time my doctor had prescribed topical creams for my healing and I realized that my body is absorbing everything I put on my skin... including my products. Natural + non-toxic living in general is an individual choice, and we find that education is key! 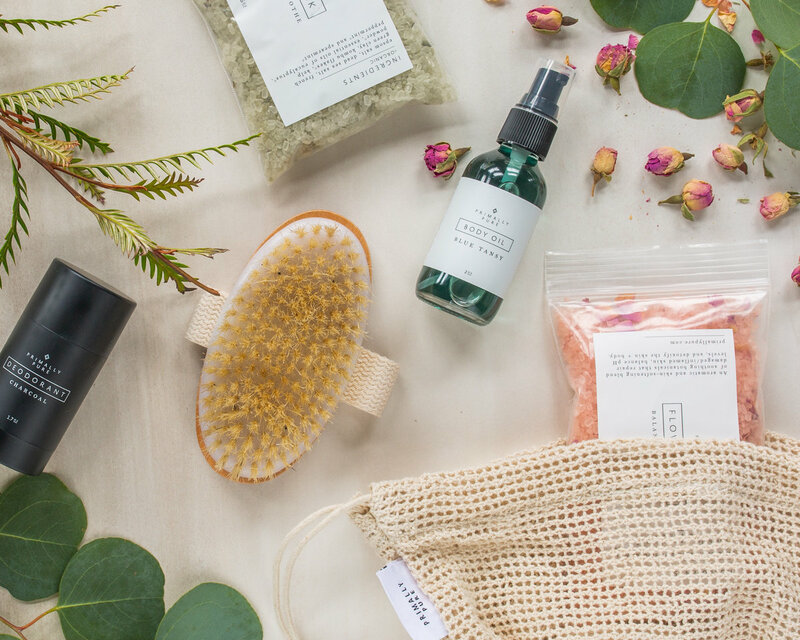 We have loads of helpful information on our blog explaining the importance of using natural products. At the end of the day, it’s important to remember that we are exposed to heaps of toxins on a daily basis (in the foods we eat, water we drink, technology we use, air we breathe and more) and it's so important to make changes that are within our control (like the products we apply), because there are so many things we can’t control. Q: I don't get why Non-Toxic is important? A: The education behind WHY nontoxic is important outweighs certain detox results such as sweat + smell, which typically subside. 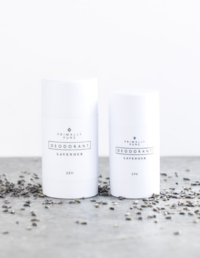 The deodorant formula protects against odor pretty darn well. With smell, this WILL get better. Much better. And if it doesn’t, it may be time to consider making some dietary changes and eliminate processed food. Regular exercise can also help the body to detox and minimize BO! It’s also important to remember that sweat is a HEALTHY and NORMAL part of being human! 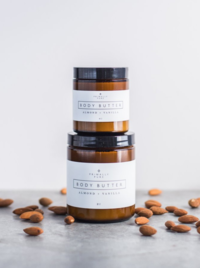 And since this product doesn’t contain any of the toxic chemicals found in conventional deodorants, it won’t interfere with your body’s natural and necessary detoxification process (also known as sweating). Q: I tried a different natural deodorant brand once and felt like it didn't work. How is this one different? A: I personally haven't had any irritation or rashes from using the products. Irritation is most likely caused by the baking soda in natural deodorants, as some people are more sensitive to it. The deodorant contains only a small percentage of this super odor eliminator, along with other pit pampering, odor-fighting ingredients. Although there is a small percentage of people who will react to any amount of baking soda, I've found that most people who have experienced irritation from other brands can handle our formula just fine.There is also the amazing Everything Spray, that can be used as a pit refresher + so much more! Q: I’ve tried natural deodorant before and it gave me a rash. Will that happen with Primally Pure deodorant? A: First and foremost, you have to remember that sweat is a HEALTHY and NORMAL part of being human! If you look like a Gatorade commercial, awesome, your body is detoxing! 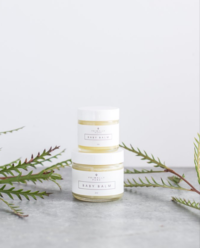 And since this product doesn’t contain any of the toxic chemicals found in conventional deodorants, it won’t interfere with your body’s natural and necessary detoxification process (also known as sweating). After making the switch from a chemical-laden deodorant or antiperspirant, you may be extra sweaty as your body rids itself of toxins. This should normalize soon enough. And once it does, you may find that you sweat even LESS than you did before! My favorite for tough workouts or sweaty days it the charcoal deodorant! Q: I sweat A LOT. Does this deodorant really hold up through intense workouts? 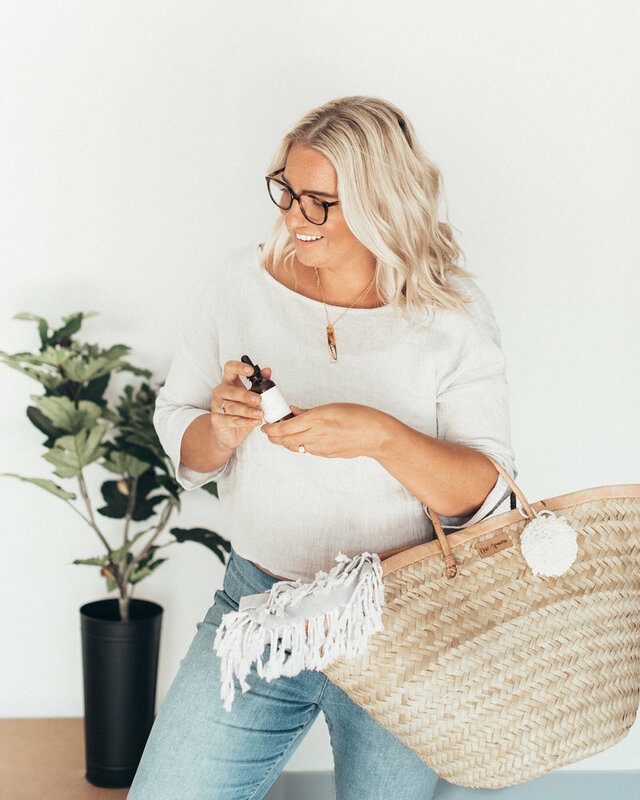 A: I'll be honest, swapping to all-natural products felt like it was going to be very expensive and confusing, but the truth was, my favorite products can all be purchased for under $100! 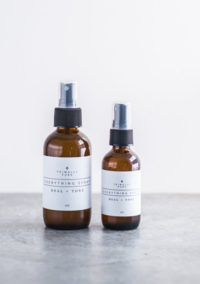 When I travel, I usually just bring along the Cleansing Oil, the Toning Spray, and a Charcoal Deodorant. Those three live in my carry on and can keep me covered from my face to my armpits. My favorite part about the cleansing oil (beyond how it smells!) is that I can use it to remove make up and clean my skin and I can use it as a moisturizer, so it's really the ONLY skin product I need on the road. I am also obsessed with the body butter, the "everything spray" and basically anything that comes from Primally Pure! A: Conventional cleansers, soaps and scrubs are actually loaded with ingredients that can worsen sensitive skin conditions, cause premature aging and aggravate acne. While certain oils may not beneficial for your skin type, several actually are! 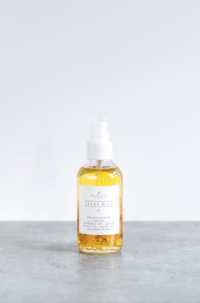 I love, love, love the Primally Pure Oil Cleansers. The combination of these oils help to restore balance and strengthen the skin barrier, without disrupting your skin’s pH levels. We’ve been blending oils for years to find your skin’s sweet spot, so you can finally kiss your oil-blotting sheets goodbye. There can be an adjustment period, which may take some time to work through. Deep cleansing takes time and patience as all the built-up dirt, grime and residue is swept out of the pores to reveal the skin’s natural beauty. Q: I have oily skin and feel nervous about using an oil-based product. 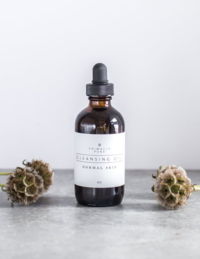 Will the cleansing oil work for me? Not just for her, use for breastfeeding! Talc-free and helps keep skin dry and rash-free. 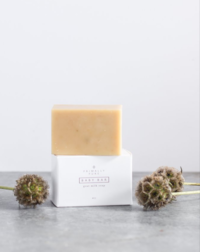 Goat milk soap gently cleanses baby's sensitive skin. Founder, Bethany shares the Primally Pure story on The Goal Digger Podcast and let's just say, it's aaahhhhmazing. I'll be honest, before our miscarriages, I didn't really care what chemicals were going on or in my body, but once I started to really dig into things, I was shocked. I had this belief that natural stuff just couldn't work as well and a fear of ditching the products I was raised on. 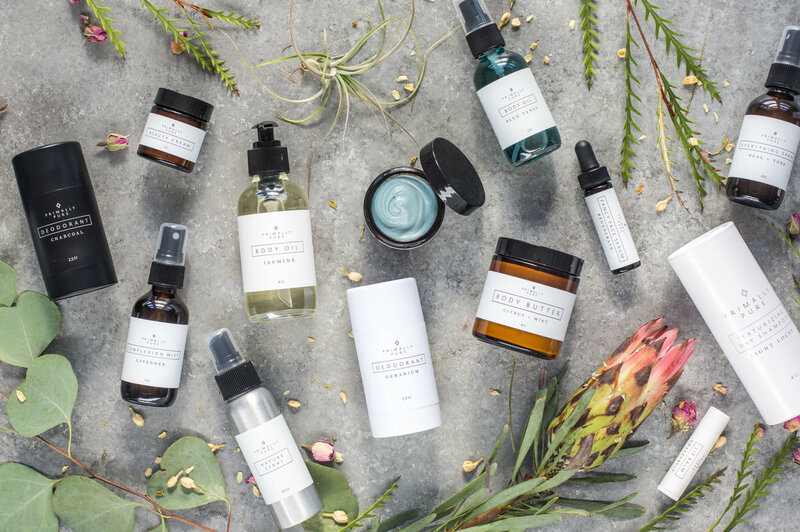 As I slowly transitioned, I became obsessed with reading labels, knowing that I was treating my body with the ultimate respect and I started to fall in love with the natural scents, the feel of the products, and the way I felt when I used them. Consider me a completely converted skeptic. Will you make the switch, too?